So pleased you sent me down this rabbit hole levapoteur. Thats actually a deal compared to the price of earlier SX Minis. The ML and M both cost me $250 Canadian and then tax so about $285 and the Q was $275 and then tax on top. So this SL is reasonably priced by comparison.. I could take a photo of all 3 of them right now and all 3 look as new as they did the day I bought them and the chips work perfectly. So, in the end, what might seem expensive, can actually save you $$ if it pleases you so much that you stop wasting money on every other crappy mod that comes to market. ** Of the 3, only the M Class is a bit out of date, for my type of vaping but or a regular MTL user of Kanthal, its still perfect but I do believe that you have or have had an M Class yourself and would know of what i speak when I say that. New2vape wrote:So nice but damn $190 CDNThats actually a deal compared to the price of earlier SX Minis.The ML and M both cost me $250 Canadian and then tax so about $285 and the Q was $275 and then tax on top.So this SL is reasonably priced by comparison..I could take a photo of all 3 of them right now and all 3 look as new as they did the day I bought them and the chips work perfectly.So, in the end, what might seem expensive, can actually save you $$ if it pleases you so much that you stop wasting money on every other crappy mod that comes to market. ** Of the 3, only the M Class is a bit out of date, for my type of vaping but or a regular MTL user of Kanthal, its still perfect but I do believe that you have or have had an M Class yourself and would know of what i speak when I say that. Yeah, unfortunately the M class, I lost interest in a few years ago, as soon as the ML class came out. At the time no other mod company did TC for SS wire as well. Debate ranged as to whether the update to the M class for TC worked or not. Some felt that it did, in at least that the cotton did not burn but I personally never felt it did it well. I put it on par for TC with the original Sigeli....oh crap, cant remember the model now but its TC was really off. Also the M class battery life does not last long. 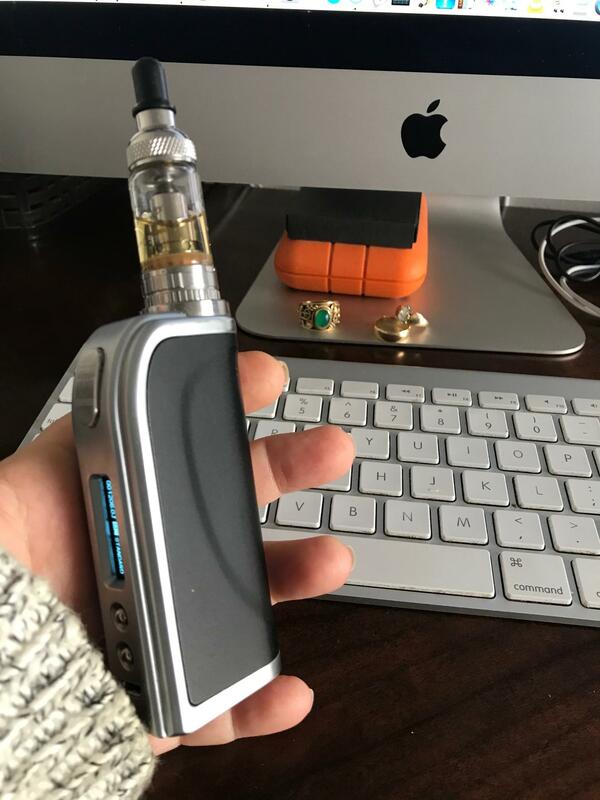 I only use it today when I go outdoors which is when I will use the Nautilus atomizer at 15w so it would last a whole day at that wattage, in regular mode but if you were to use it in TC, it woud not last long. So true, i am tired of paying for cheap mods that don't last. I am totally lost with all that cheap gear that (with my usage) look bad after 1 week(paint problem) and that fail after 6 months. 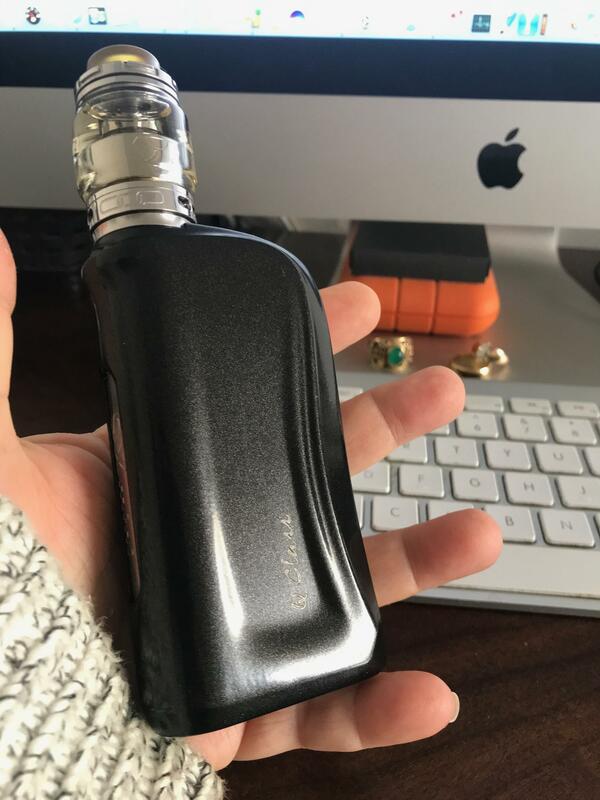 My bestmod have been the hcigar vt 75 nano yet, but still it is cheap at some points(paint and c-frame metal quality). 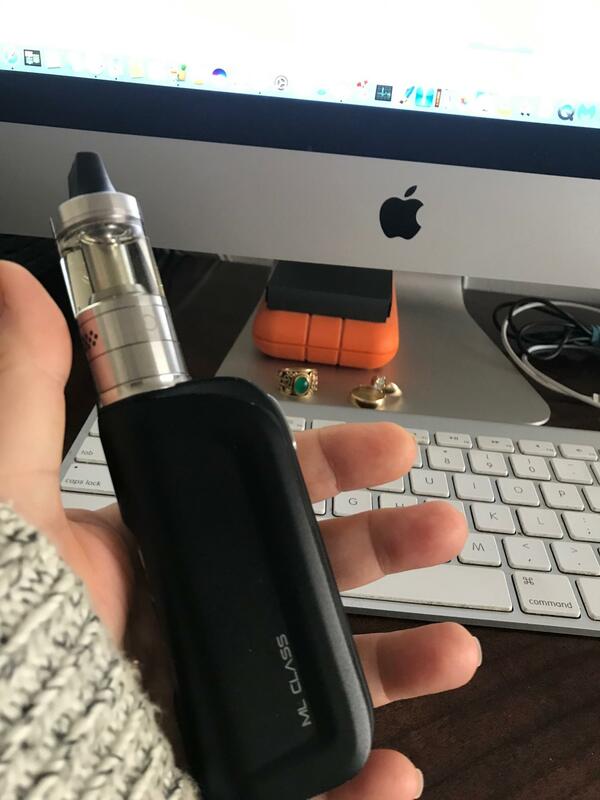 May be i am a bit picky but i never found yet THE mod that fits my needs. May be that sl class will be that one. I have had the M class since 2015, ML since early 2016 and the Q class since 2017? Just a couple photos to show you how perfect they all still look that few years later, despite a few drops on cement, etc.......I doubt you could fail with the SL class either.